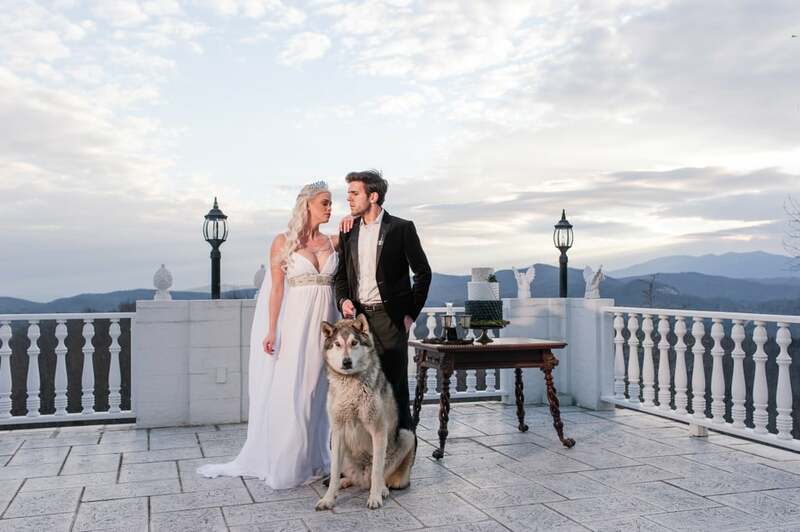 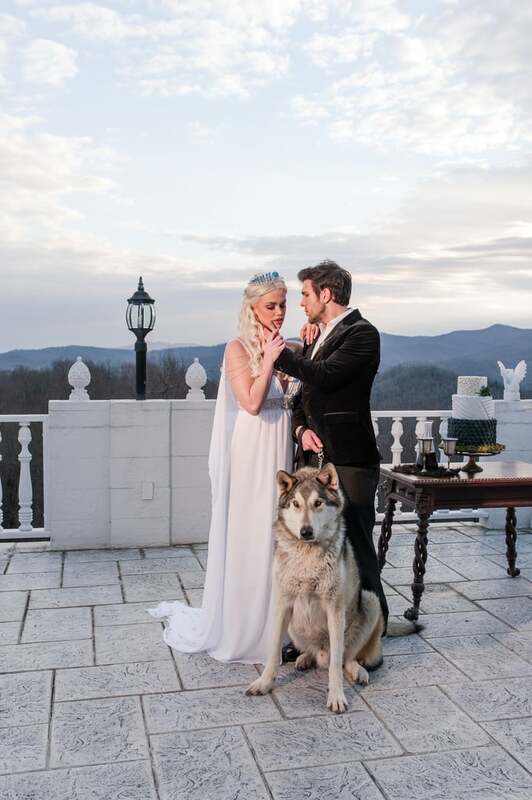 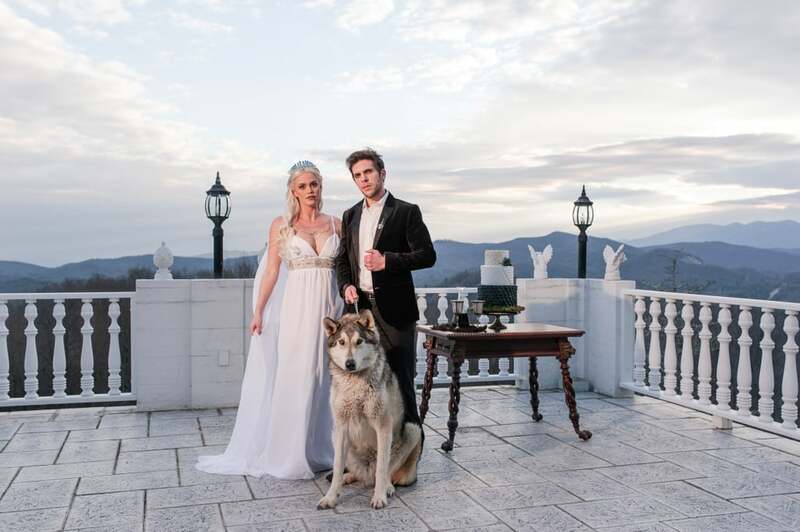 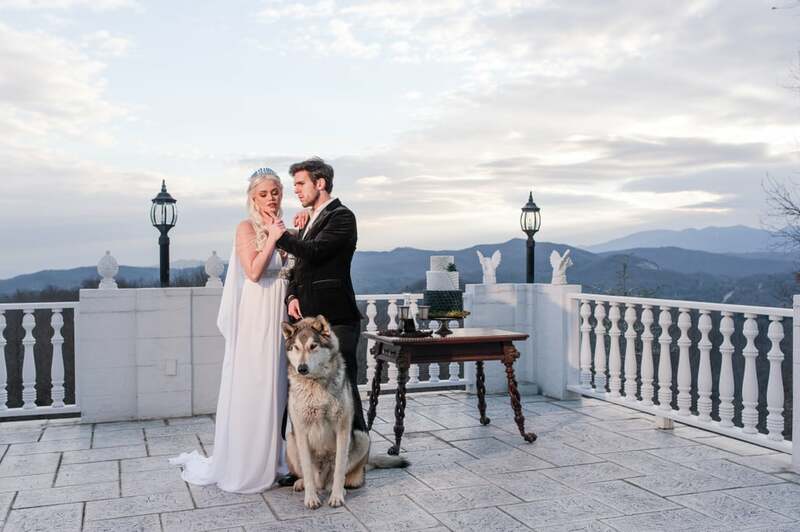 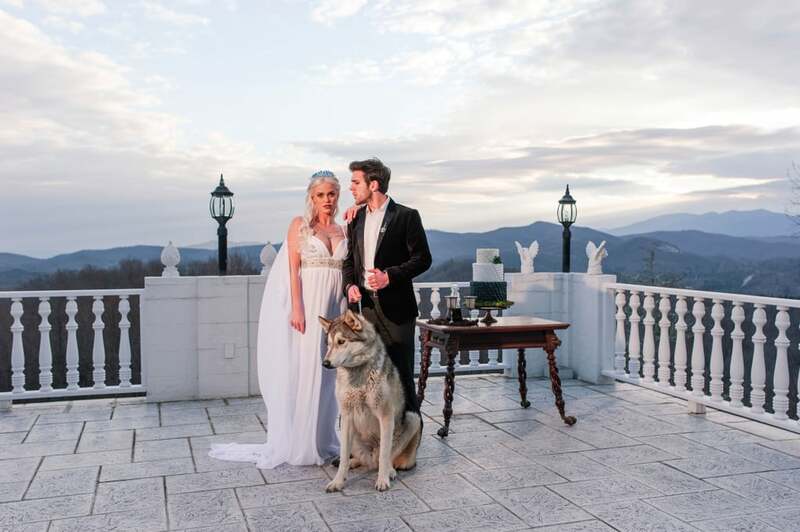 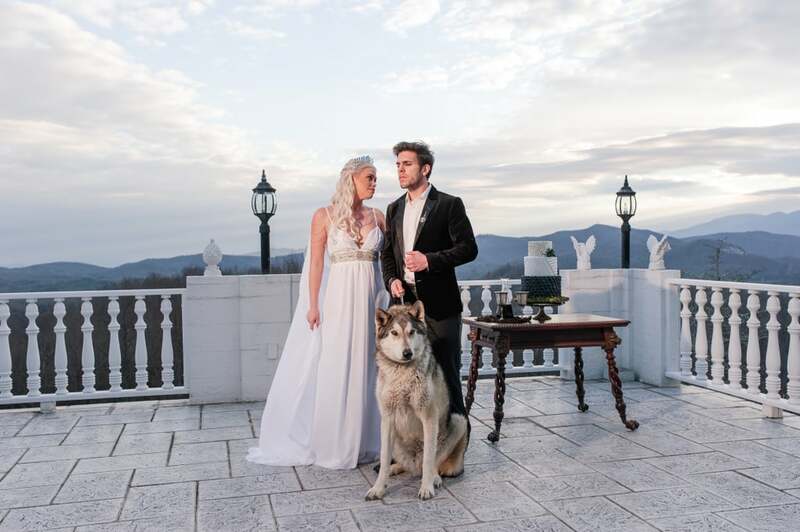 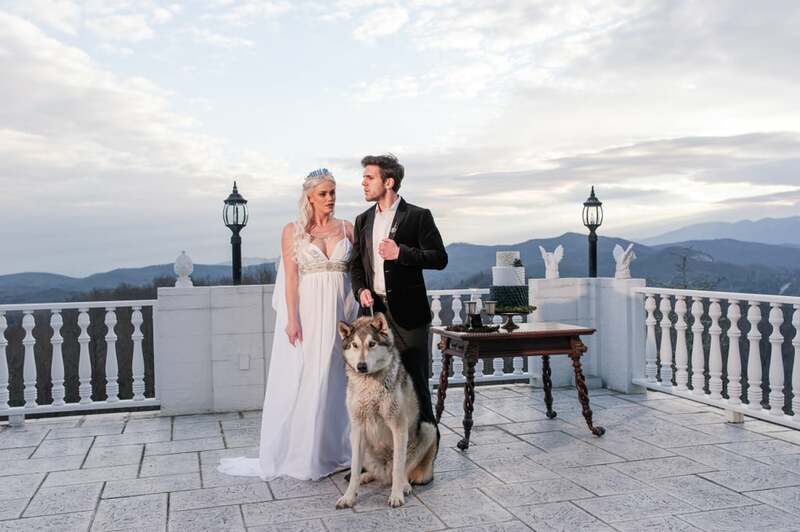 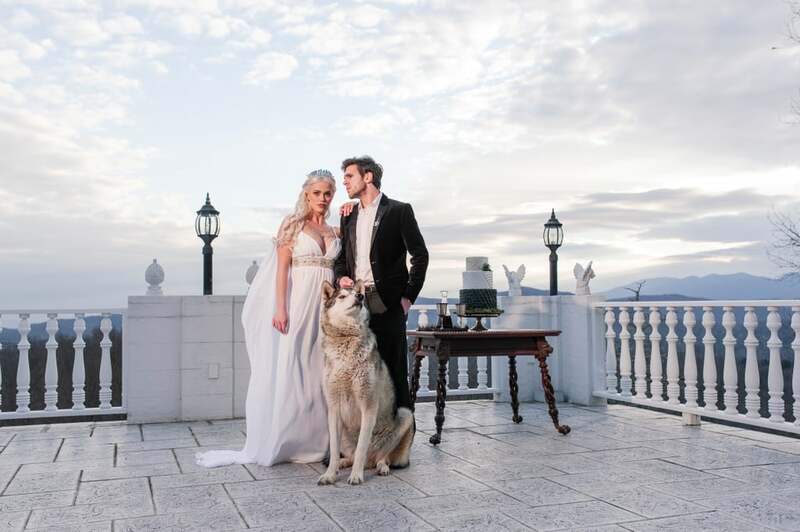 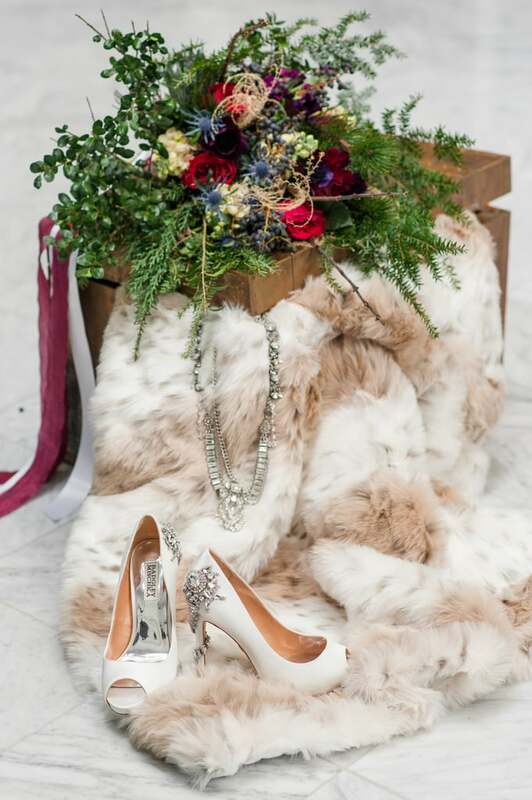 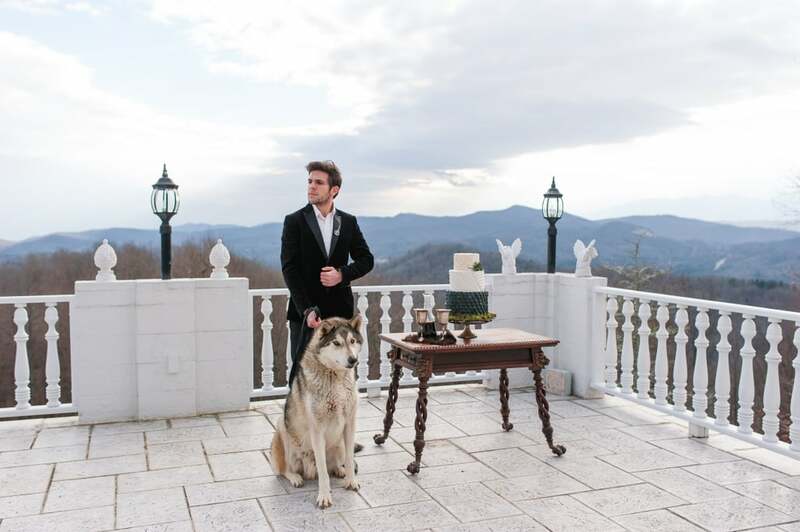 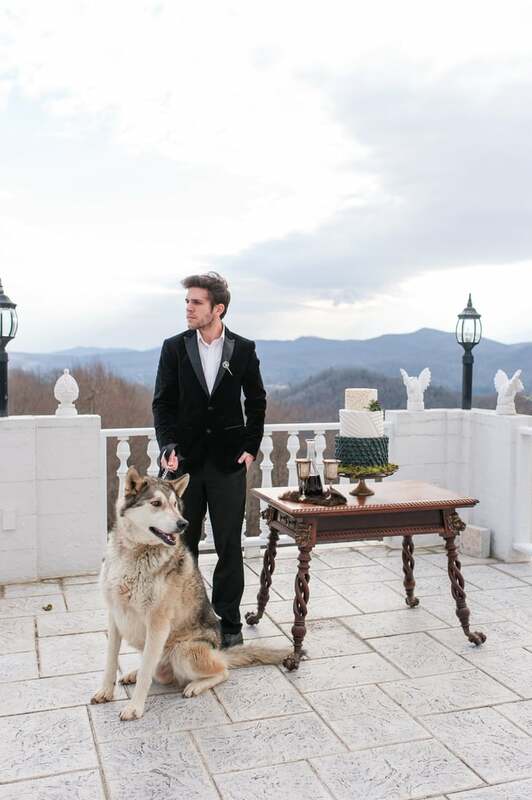 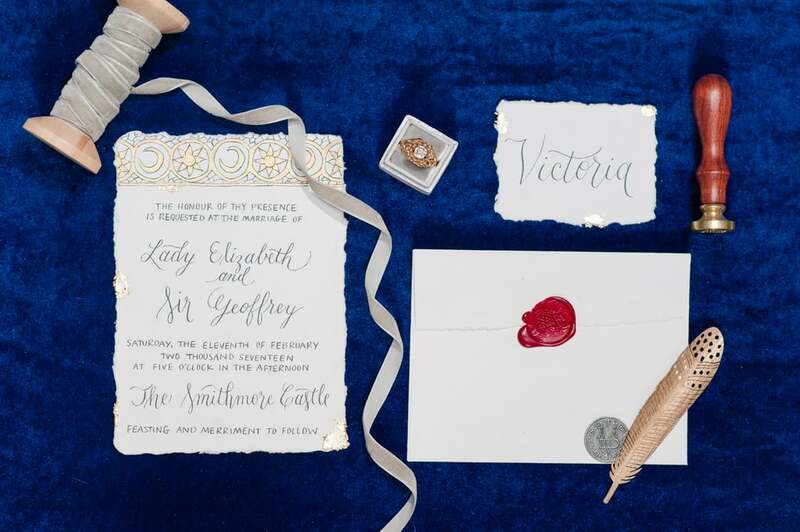 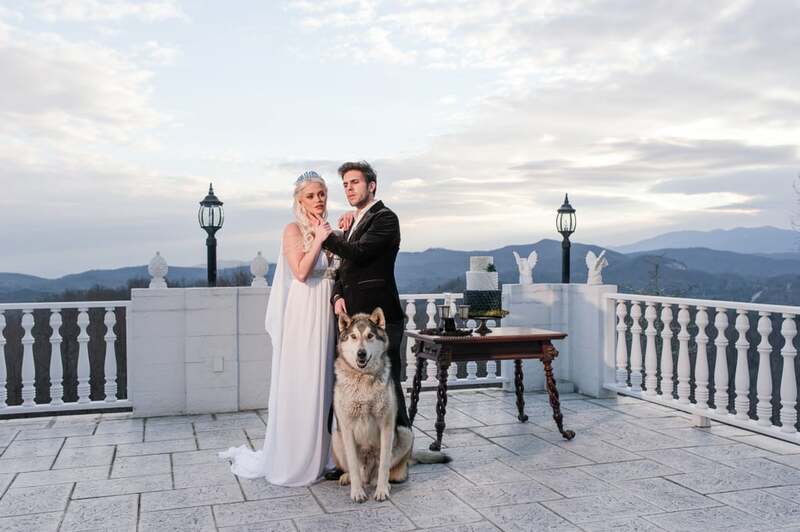 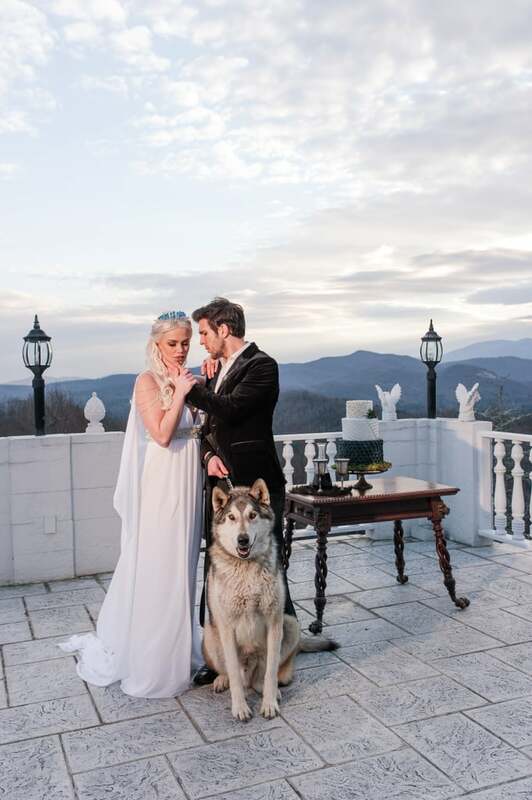 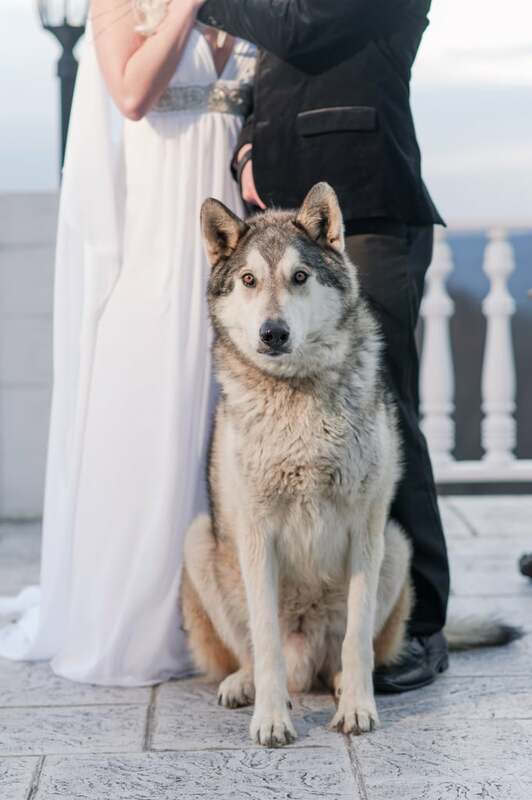 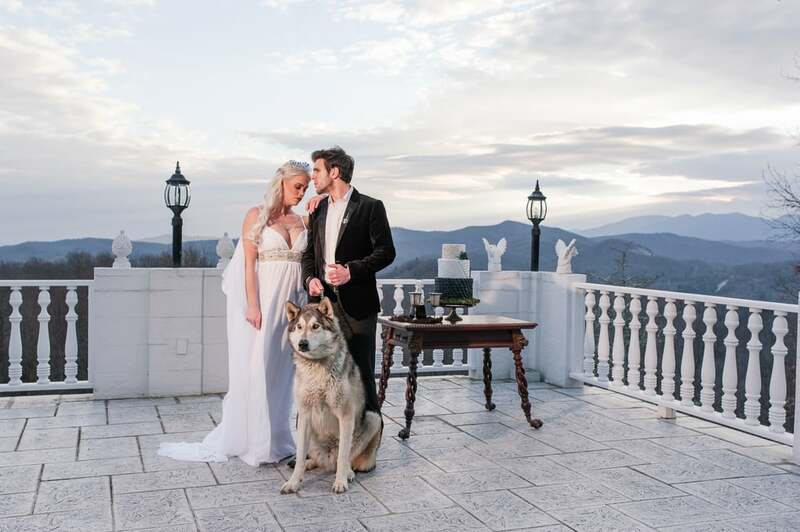 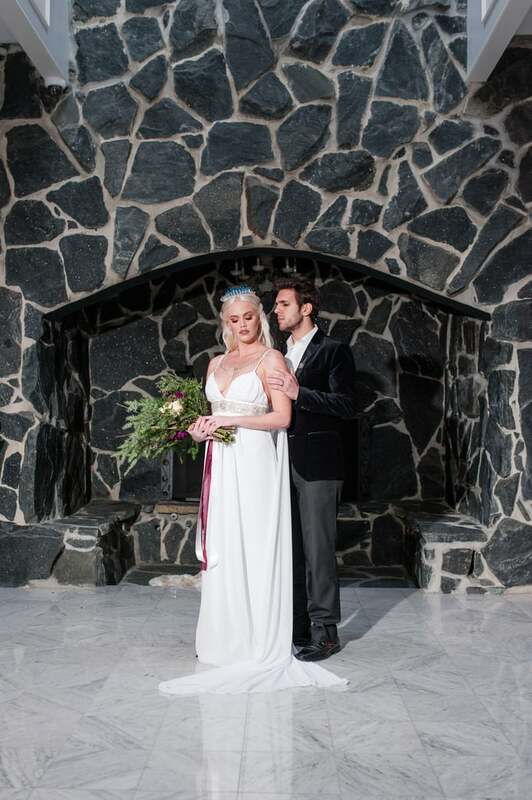 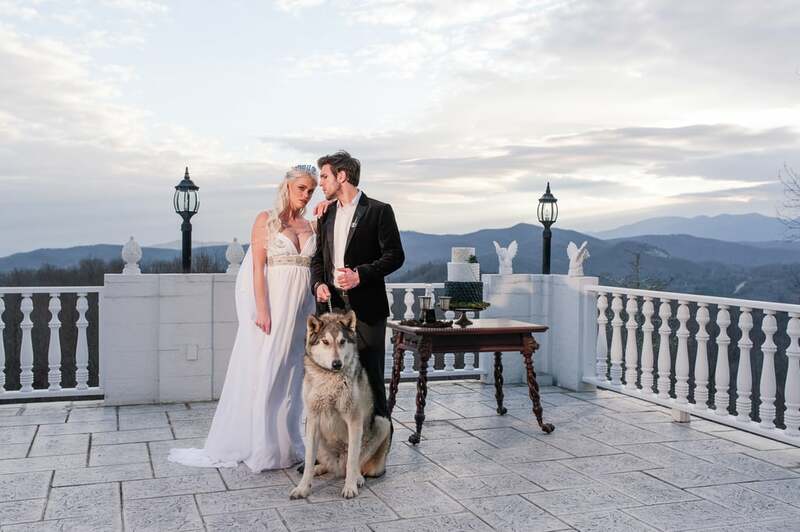 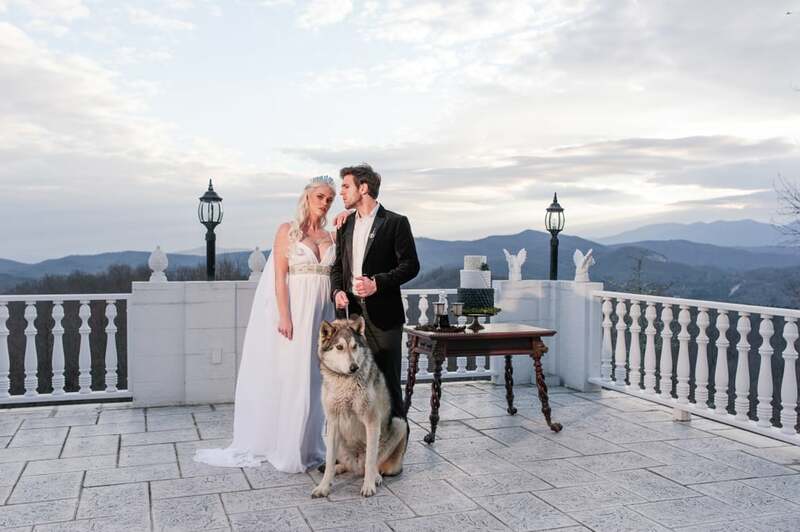 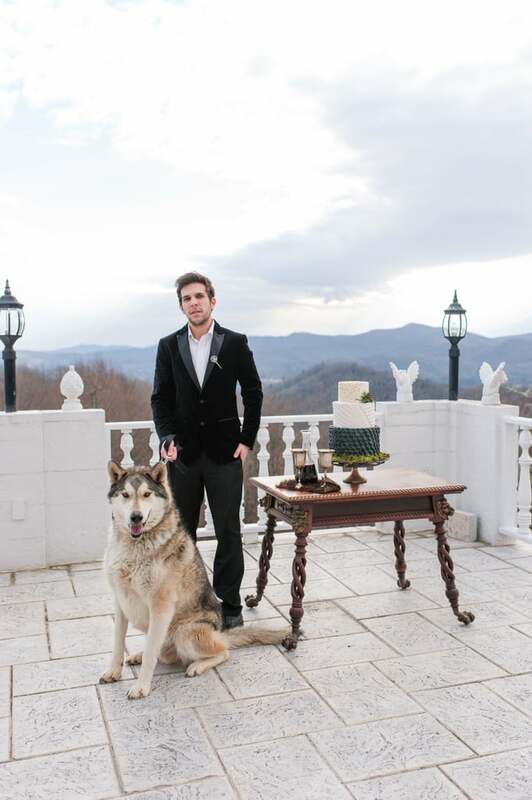 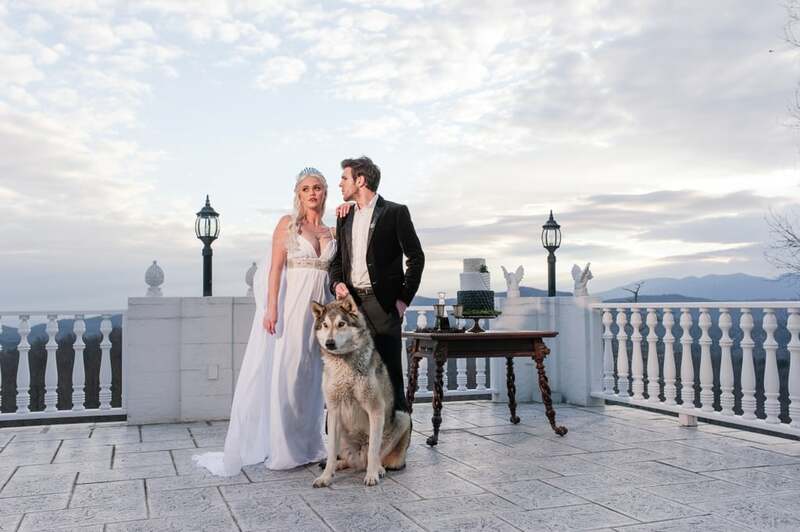 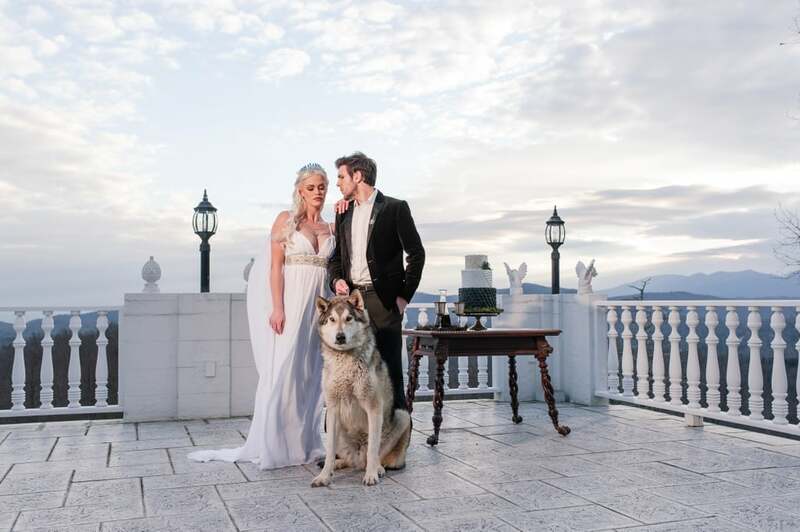 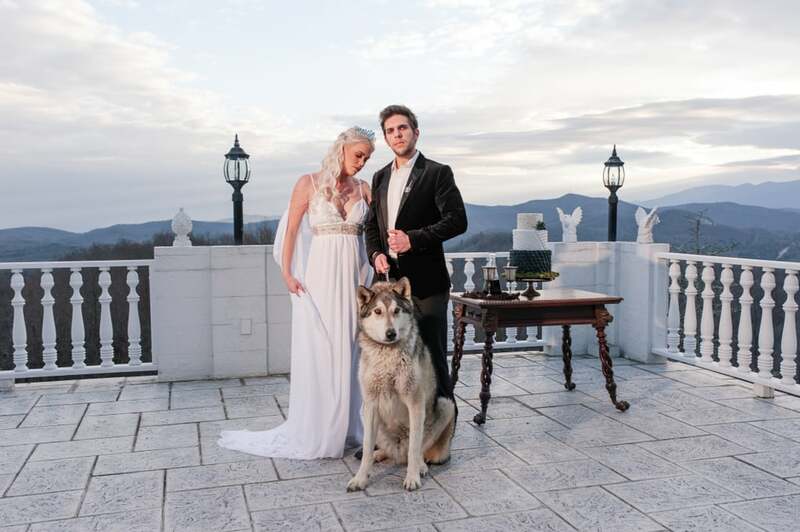 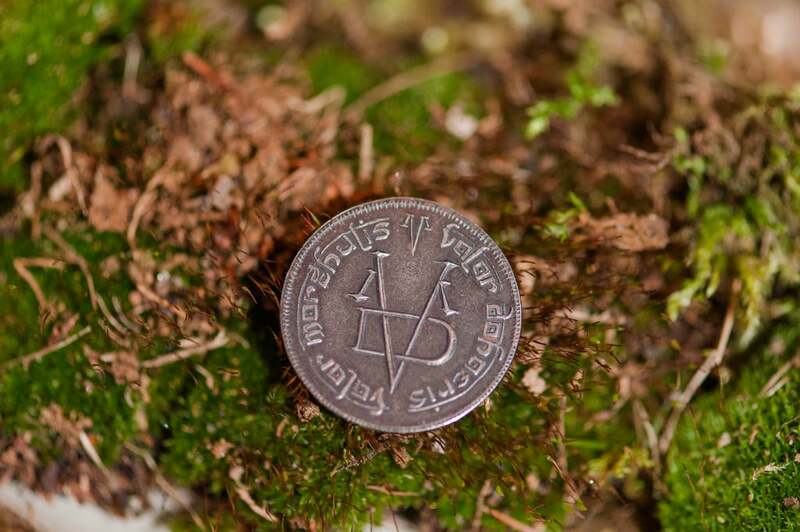 You Have to See This Amazing Game of Thrones Wedding — It Even Has a Dire Wolf! 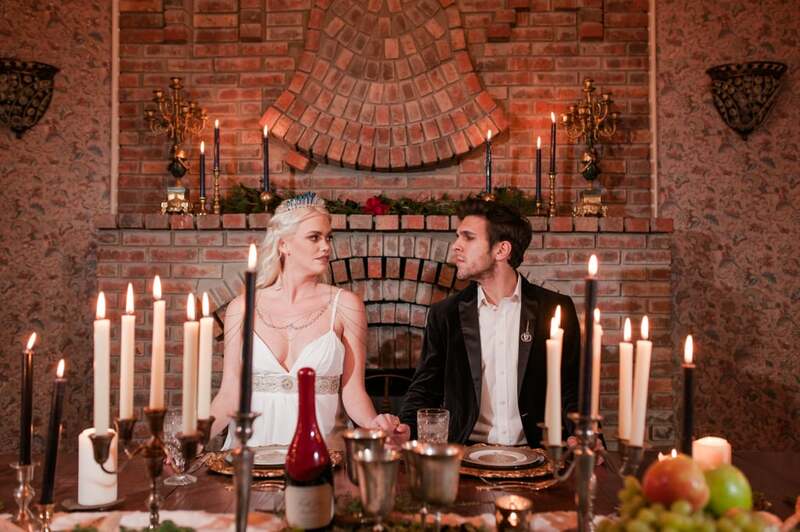 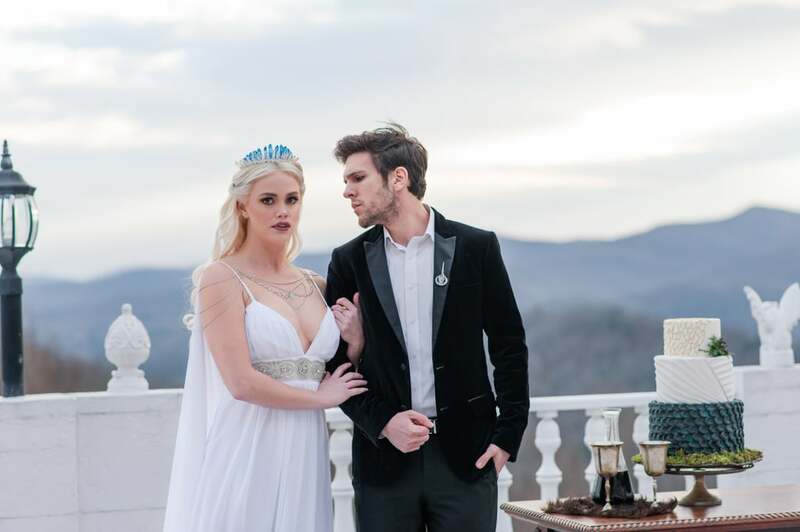 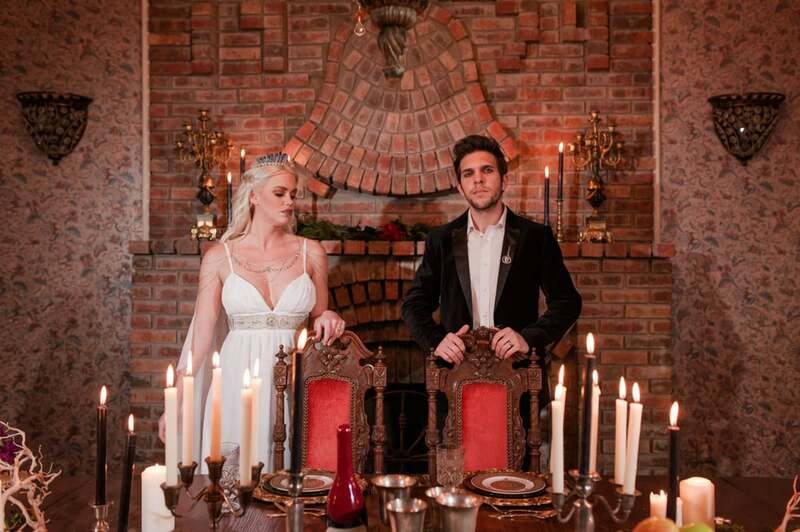 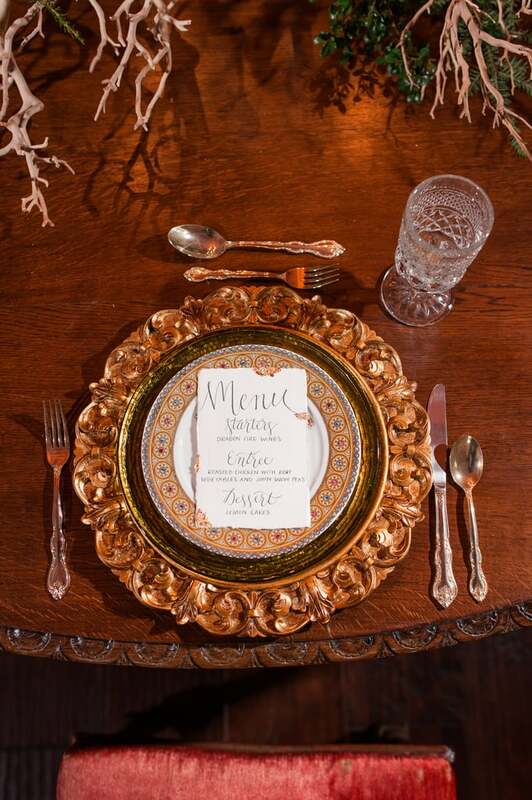 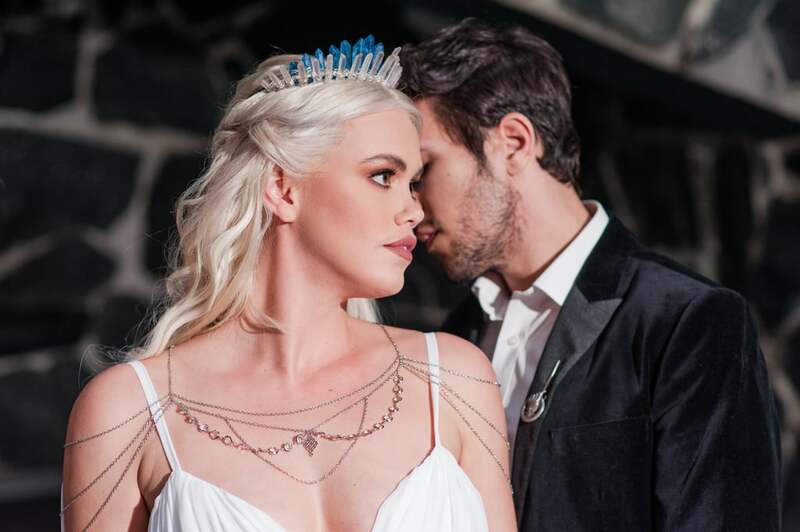 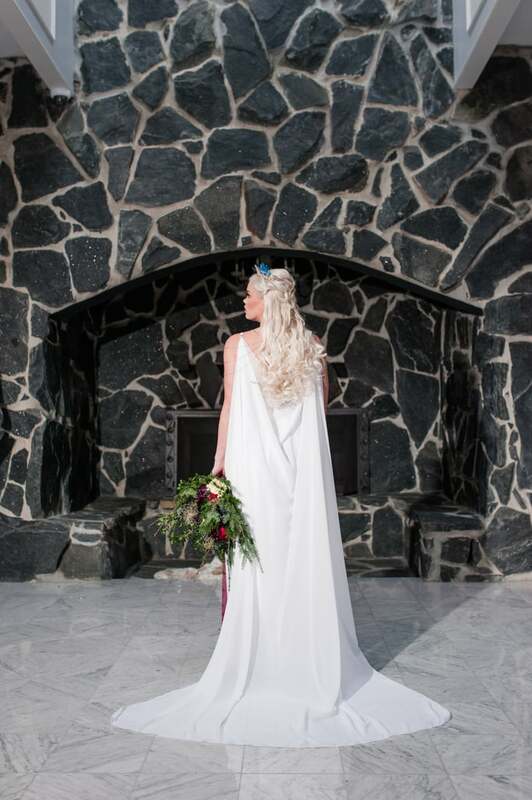 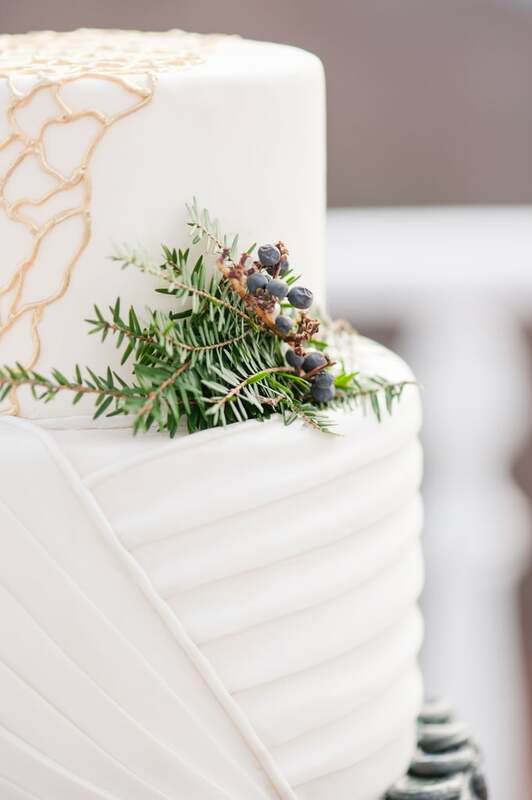 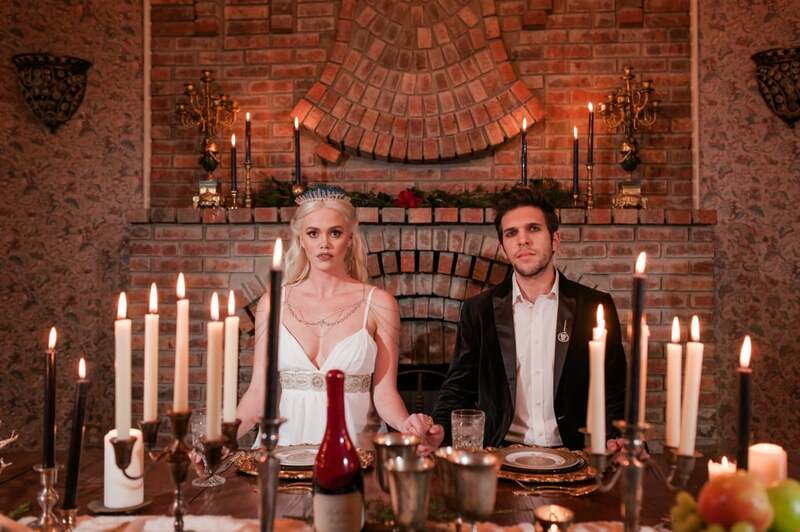 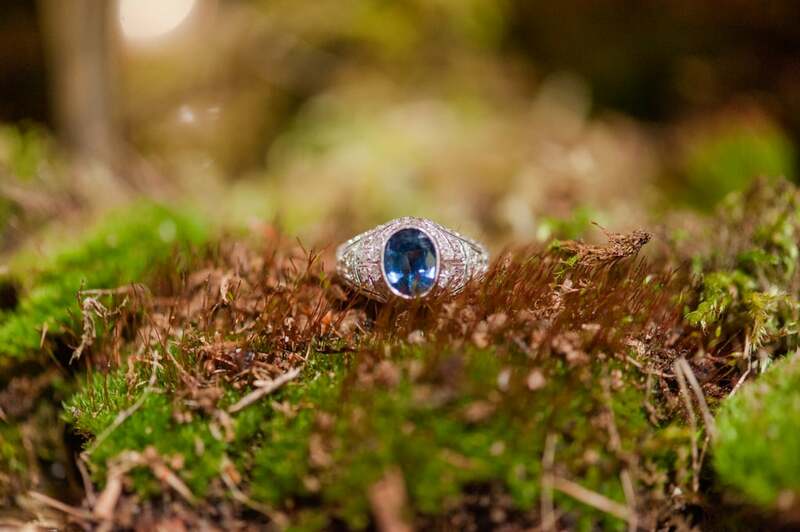 As we anxiously wait for the return of Game of Thrones, Katherine Elena Photography and a team of vendors blessed us with an epic styled shoot to hold us over. 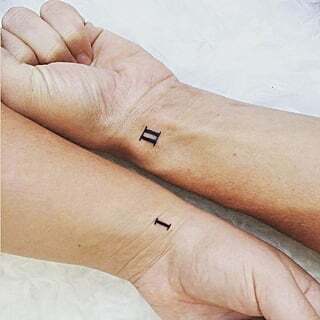 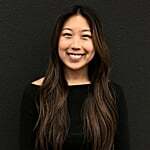 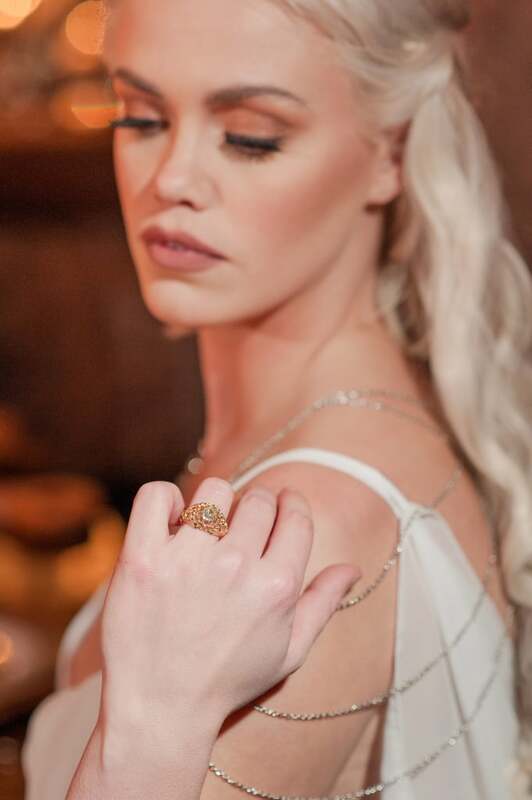 Katie Lee, the owner of Katherine Elena, told us that she wanted to highlight two women of the show, Daenerys Targaryen and Sansa Stark, for their strength and beauty. 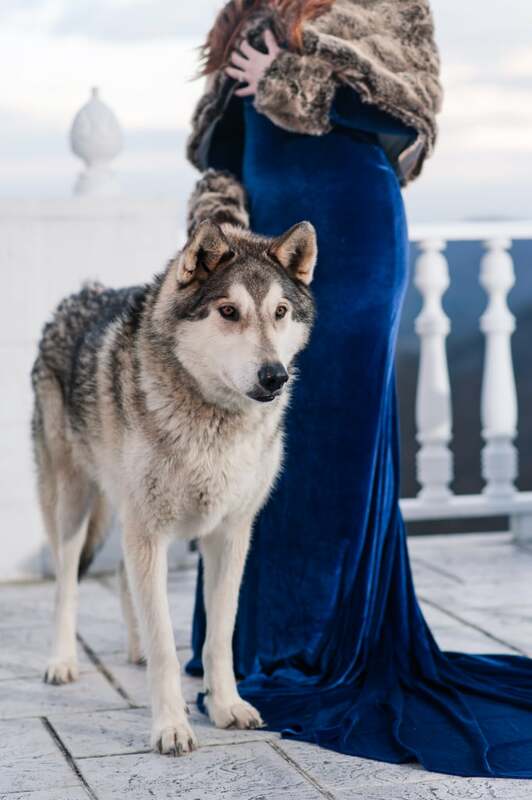 "Both are very strong, powerful women in their own right while also having an ethereal air about them," she said. 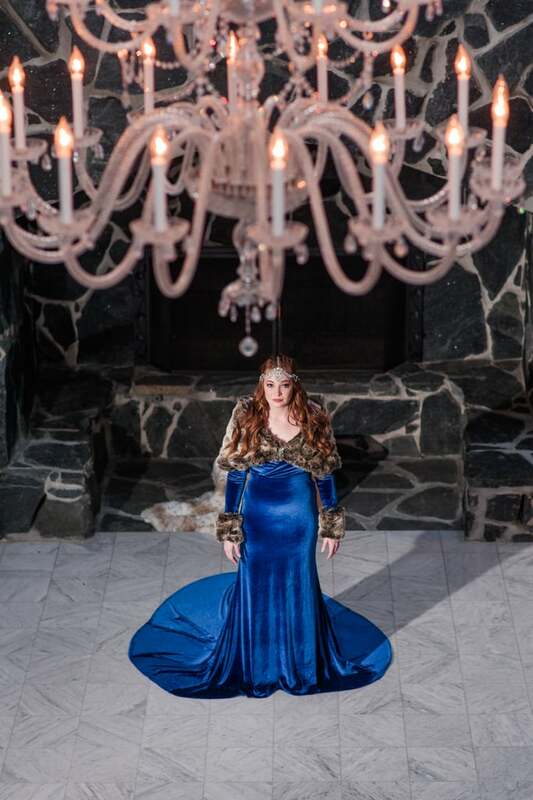 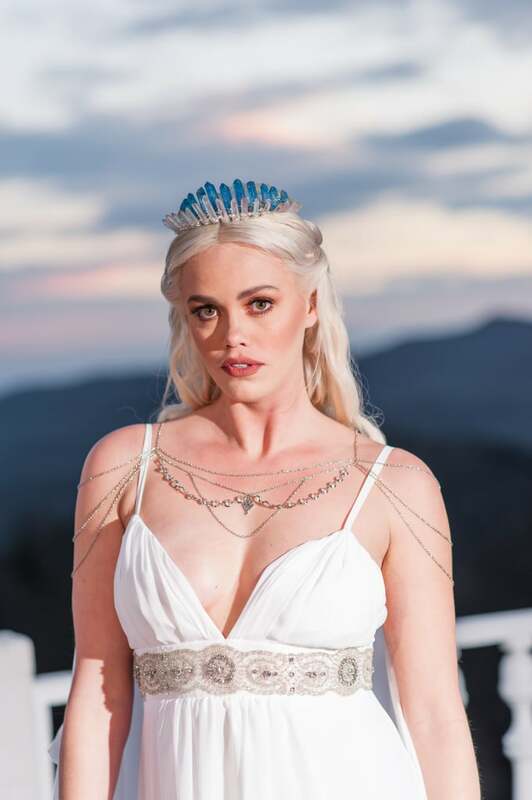 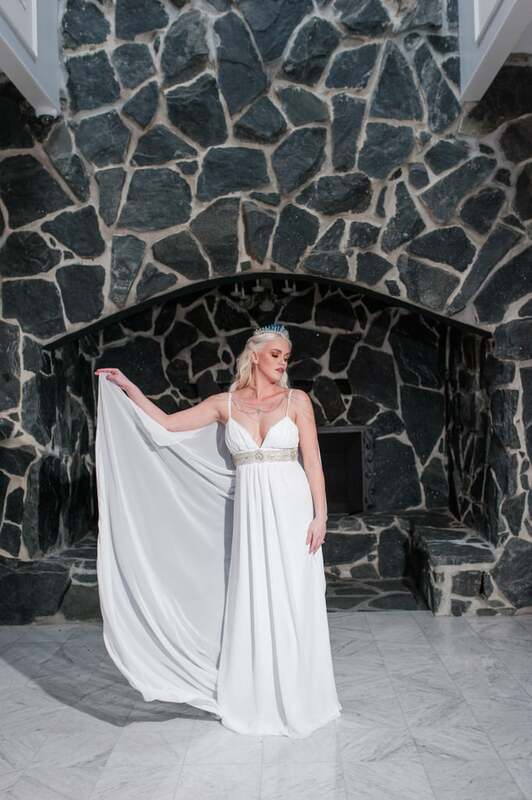 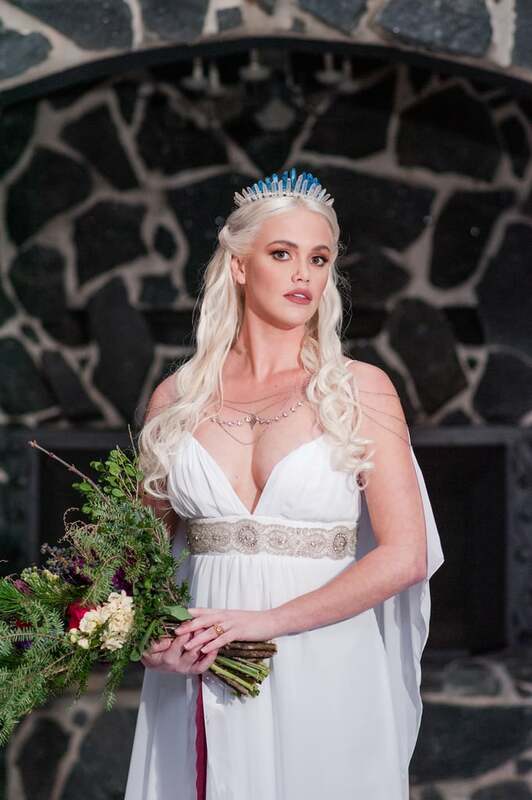 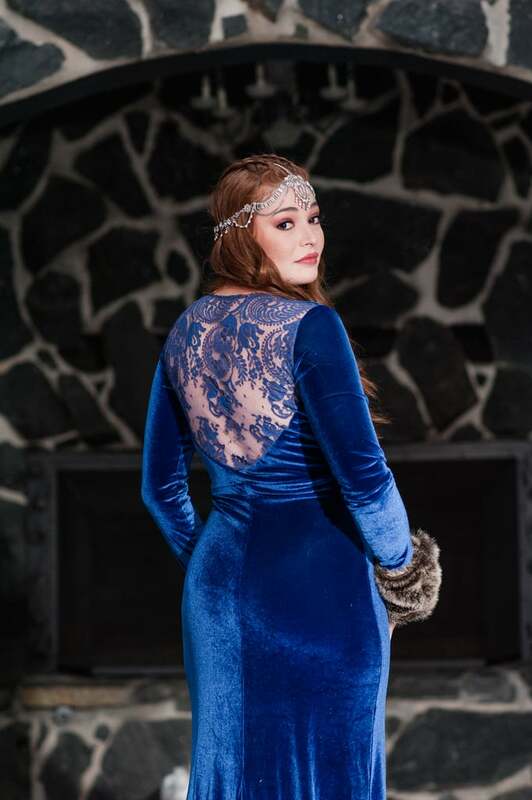 Erin of RCB Fashion designed a white flowing dress for Daenerys based on one of her classic dresses in the show, while giving Sansa a long, blue velvet gown to evoke a "strong yet feminine warrior." 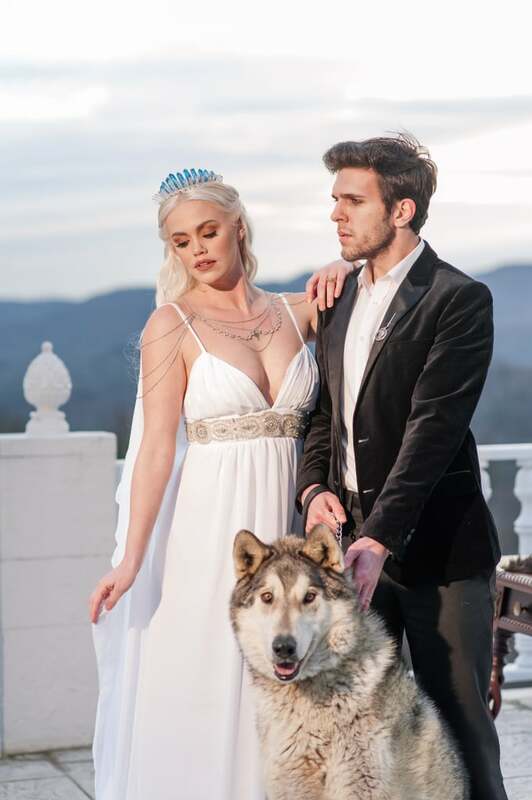 Though the male lead of the shoot didn't take after a specific character, it didn't hurt that he slightly resembled Jon Snow. 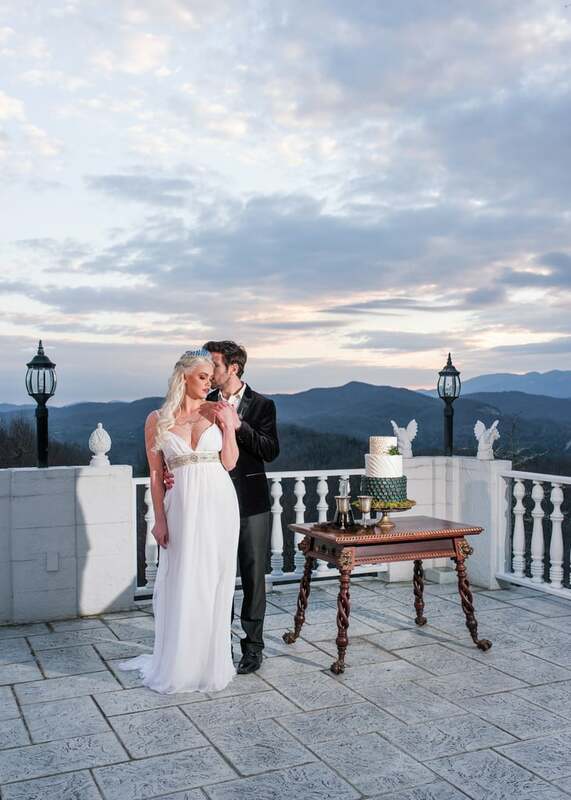 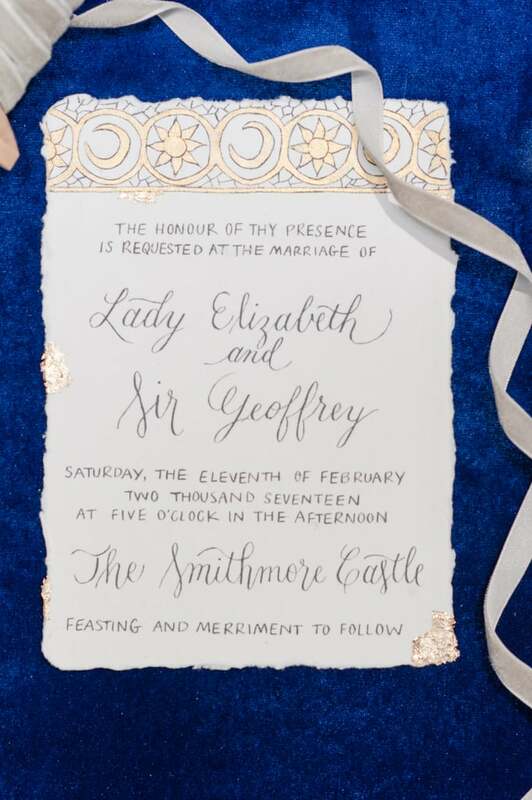 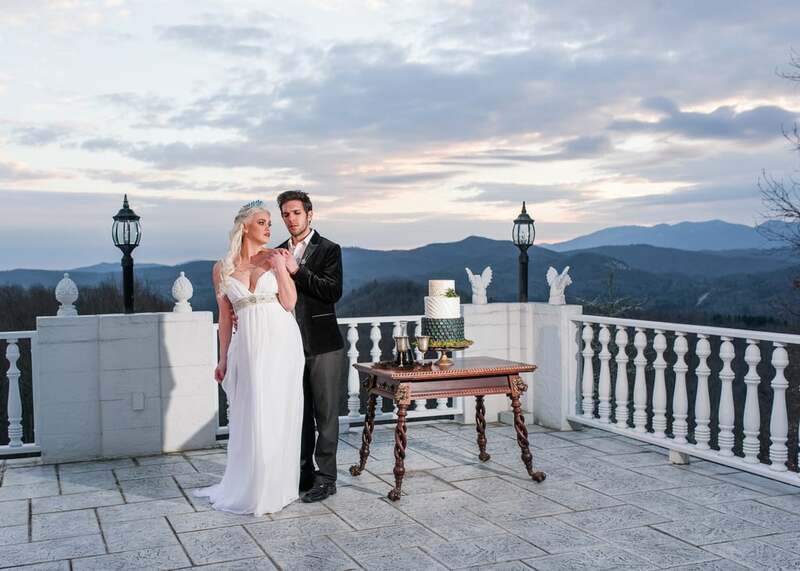 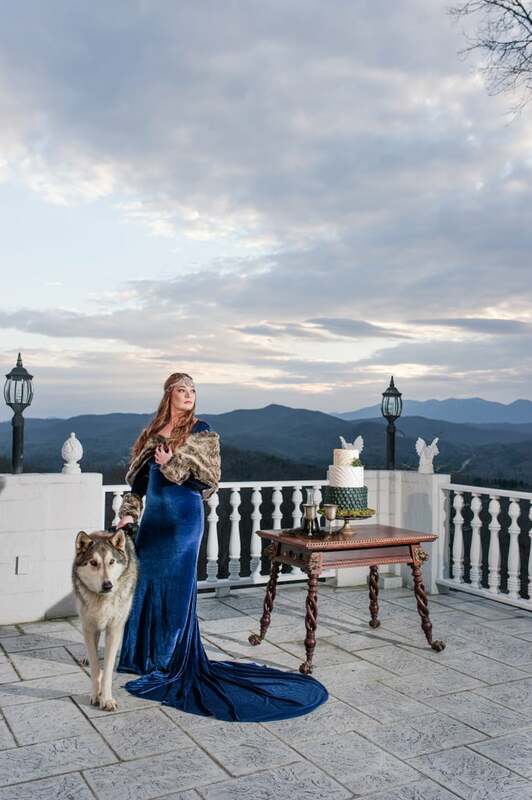 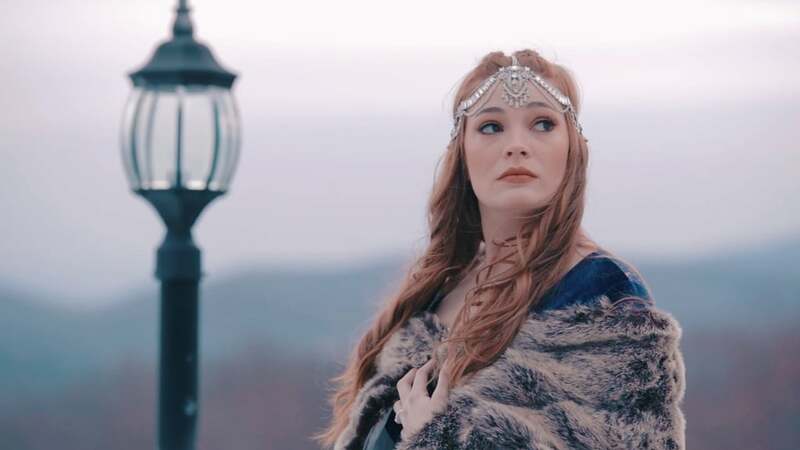 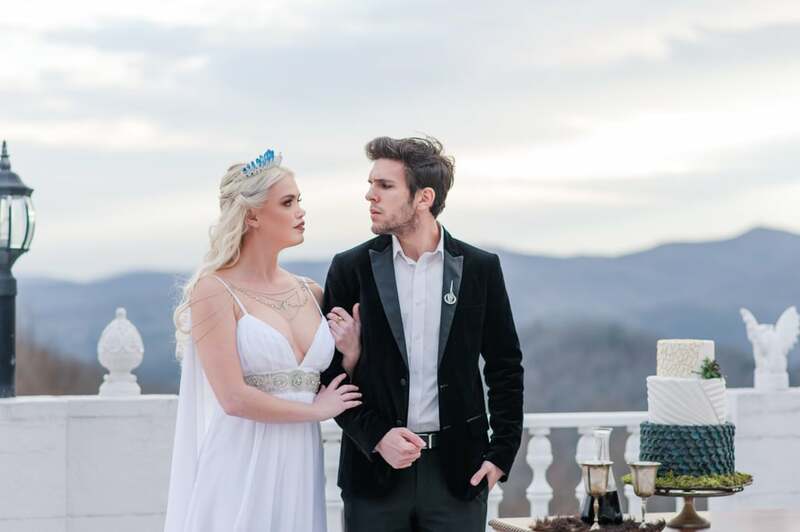 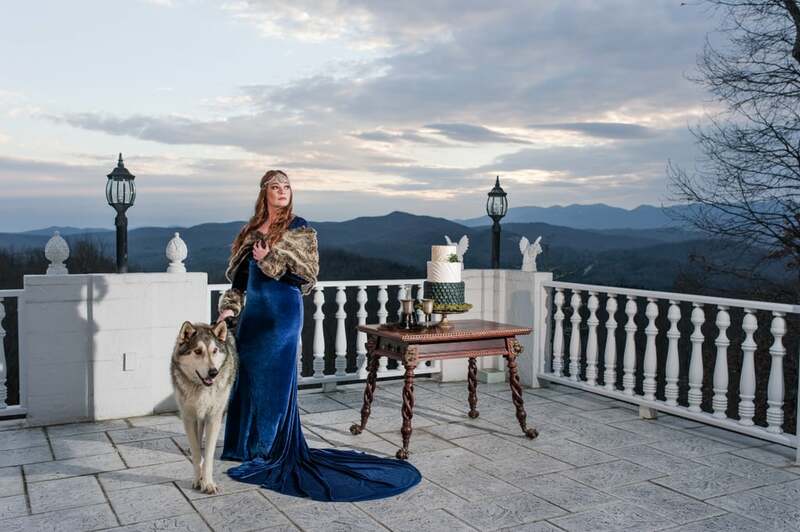 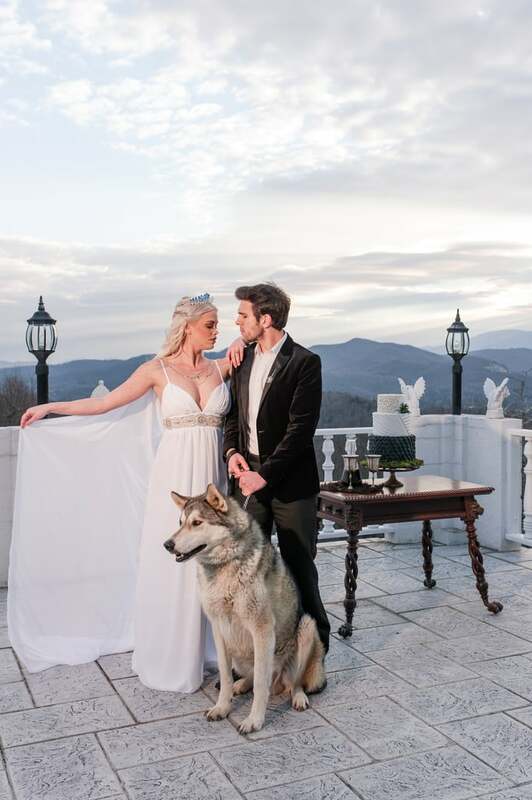 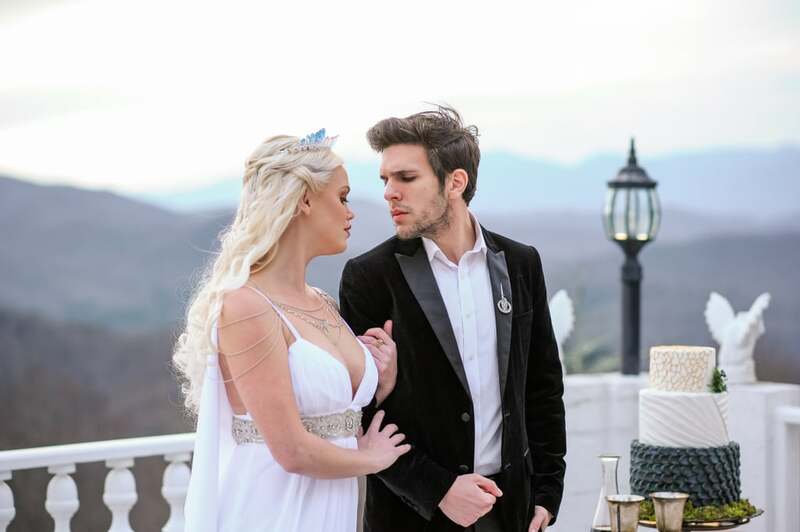 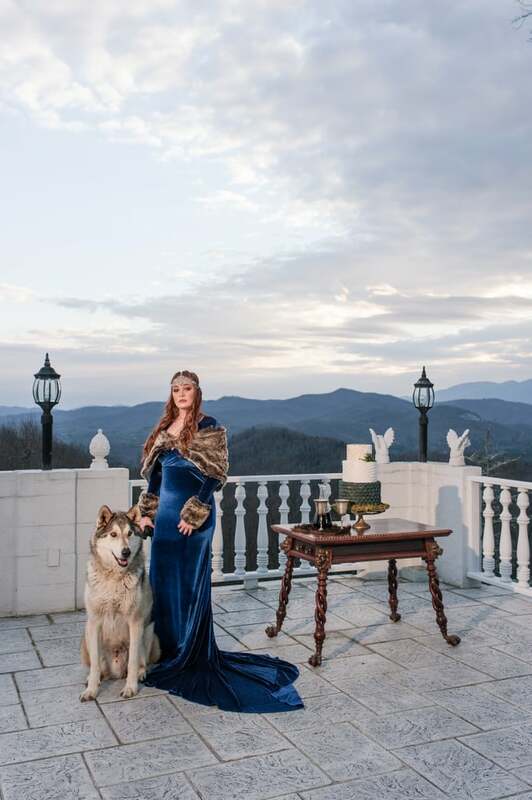 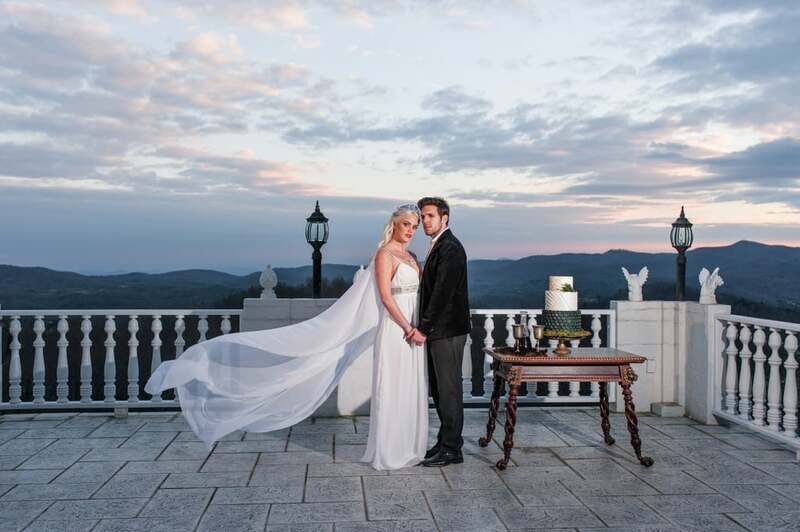 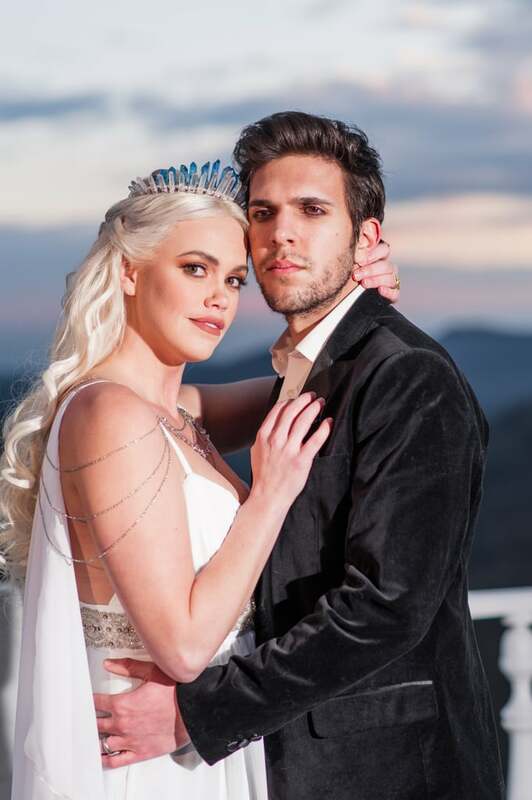 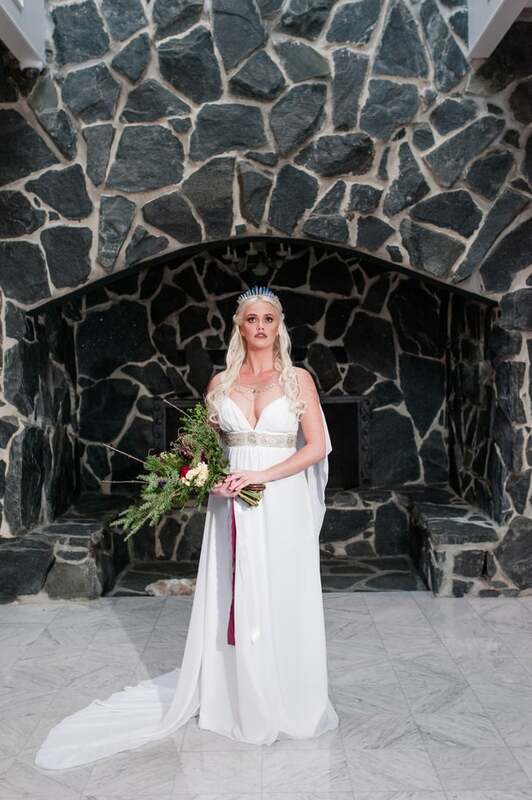 The wedding shoot took place at the Smithmore Castle in the Blue Ridge Mountains, which couldn't have been any more fitting for the medieval theme. 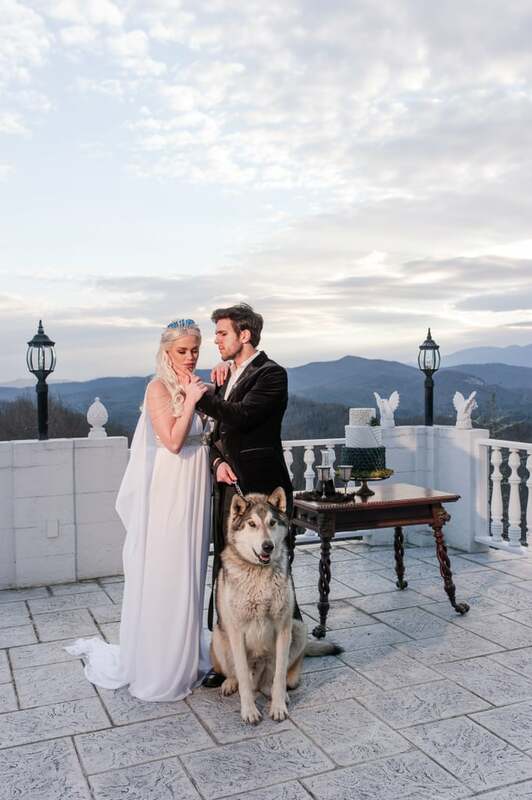 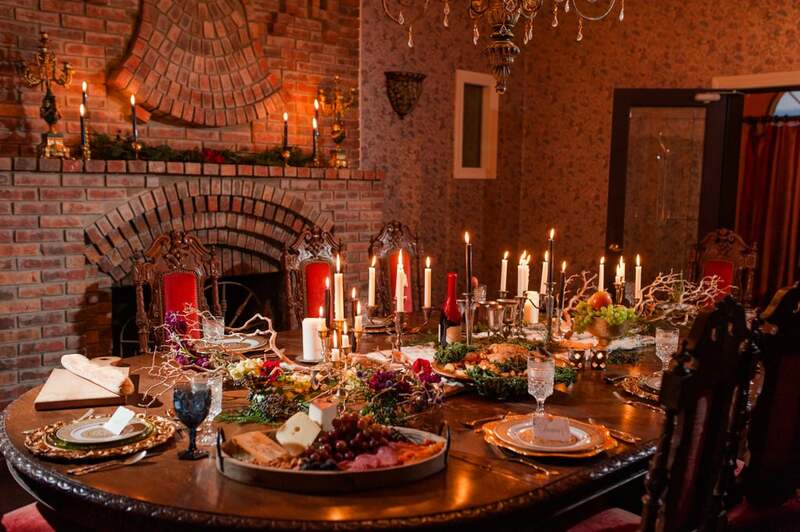 It made for an amazing set for both the dining room scene and the outdoor balcony look with a real dire wolf. 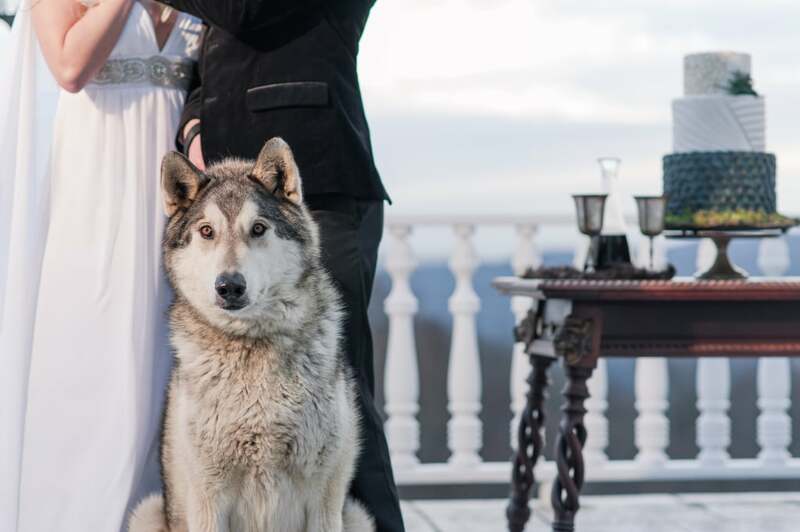 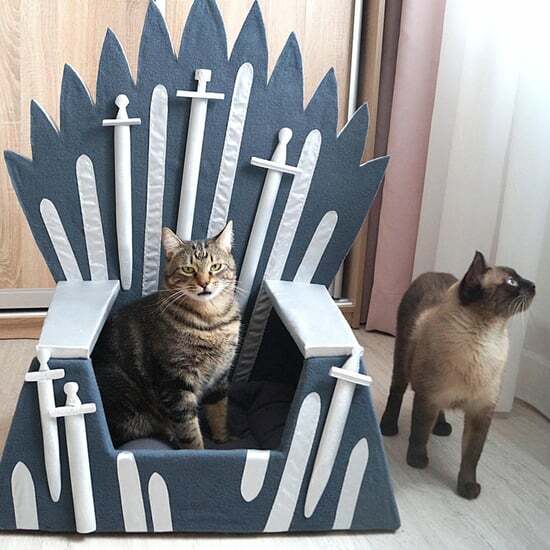 Dire wolves represent the House of Stark, after all. 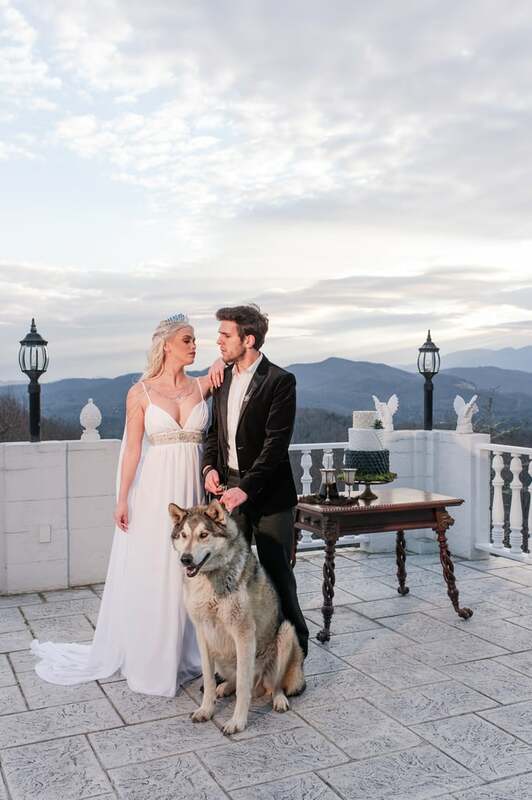 Full Moon Fam Wolfdog Sanctuary, a nonprofit that cares for abused wolfdogs, provided their majestic model for the day. 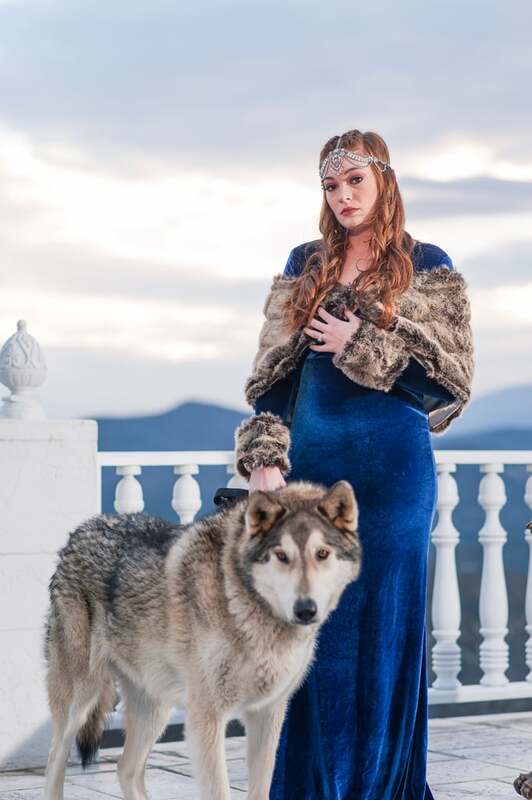 "The House of Stark on the show has a dire wolf on the family crest and a large part of the show is the dire wolves that help to protect each of the Stark children, so I really wanted that to be the WOW element of the shoot," Katie said. 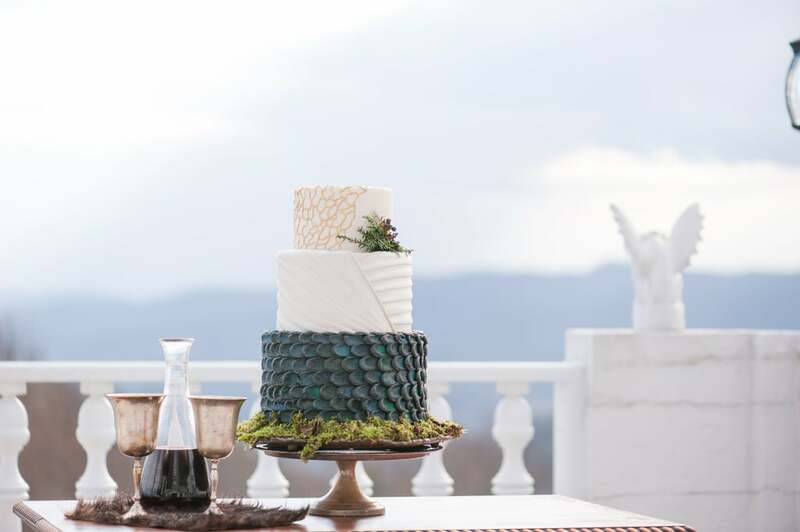 And to top everything off, Ella from Celestial Cakery created the perfect cake that would have made the Mother of Dragons herself proud. 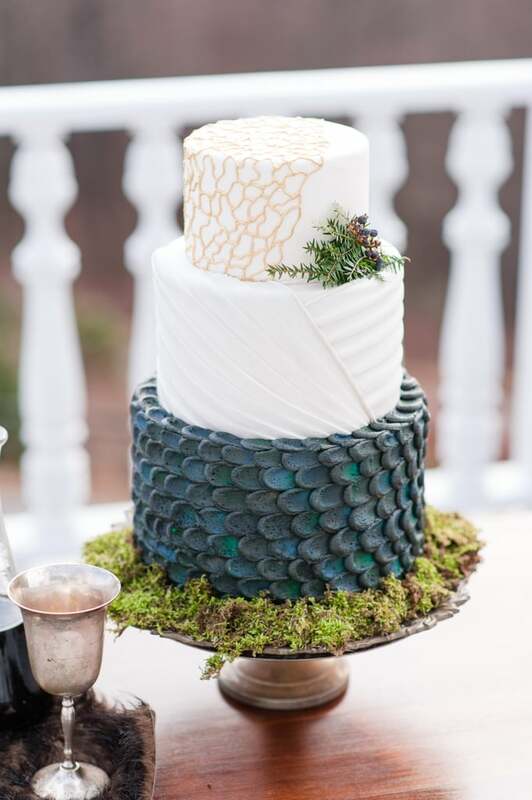 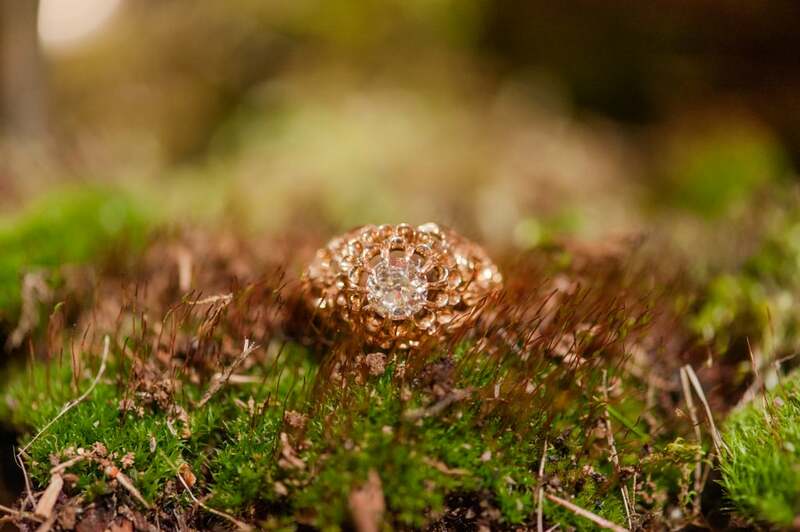 The first layer featured dragon scales, while the top two tiers emulated Daenerys's style, all complete with moss and pine details. 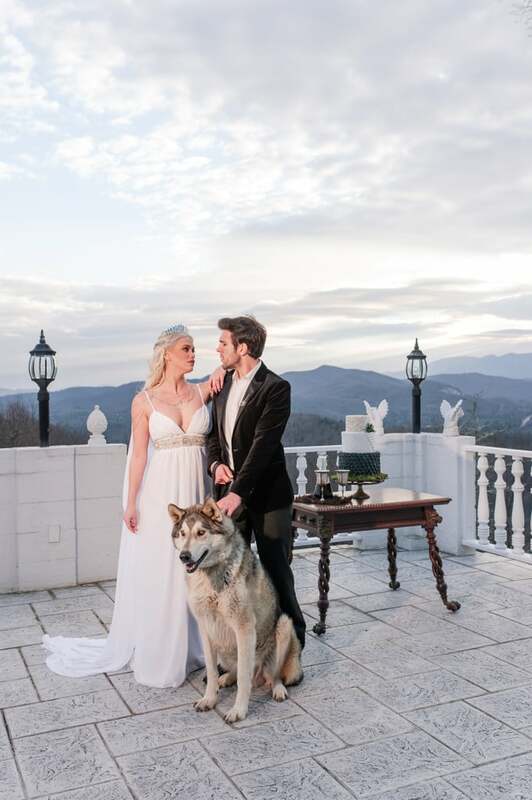 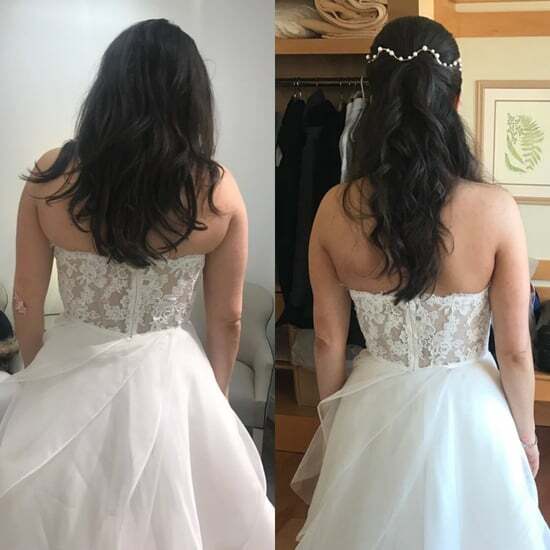 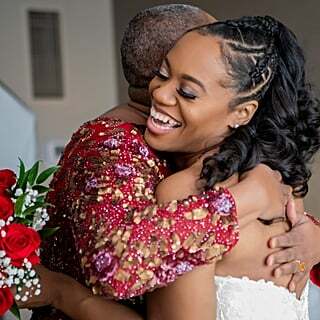 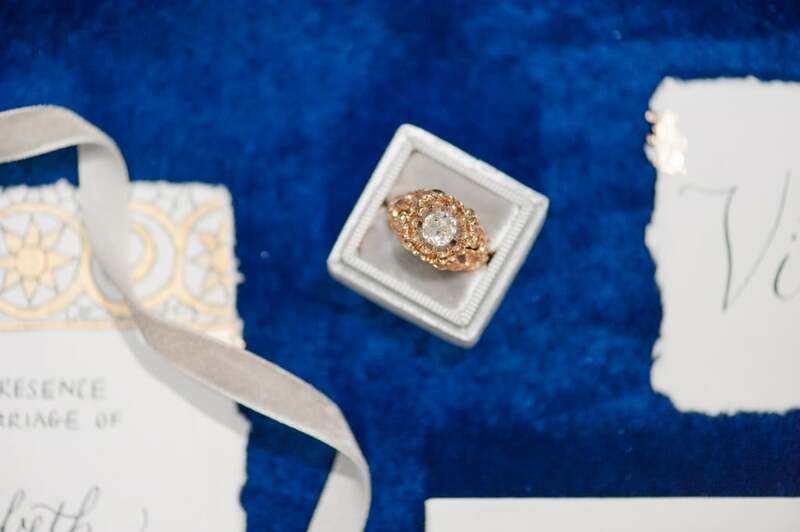 "Sometimes styled shoots can be really hectic and certain things don't work out the way you expected, but this was one of those rare times where everyone involved was just as excited as I was and we had such a good time putting it together!" 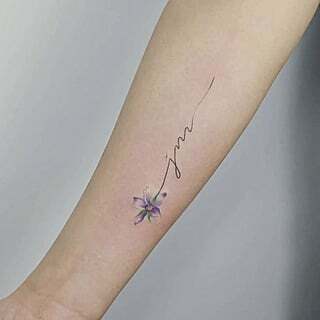 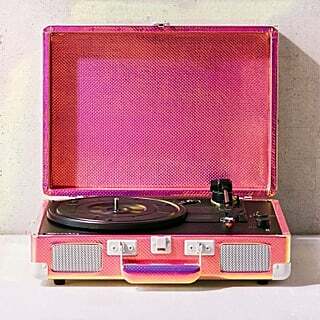 Katie said. 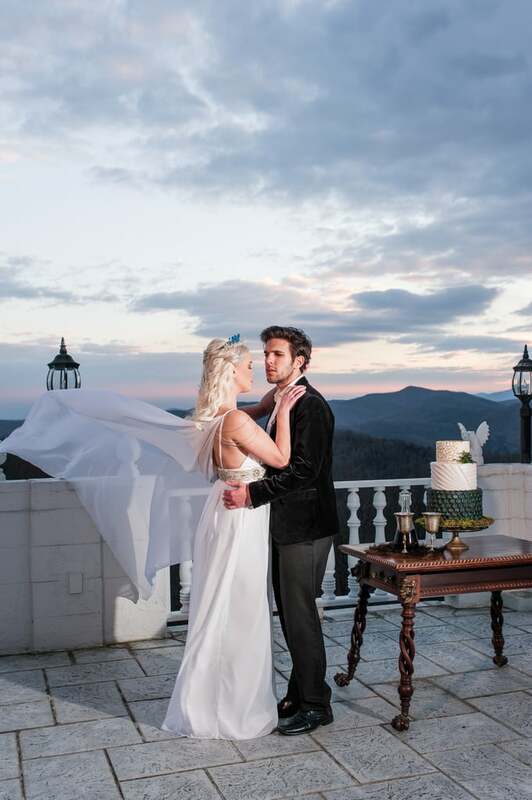 "We only had about a week and a half to literally put the entire thing together and it was all thanks to the people that were there." 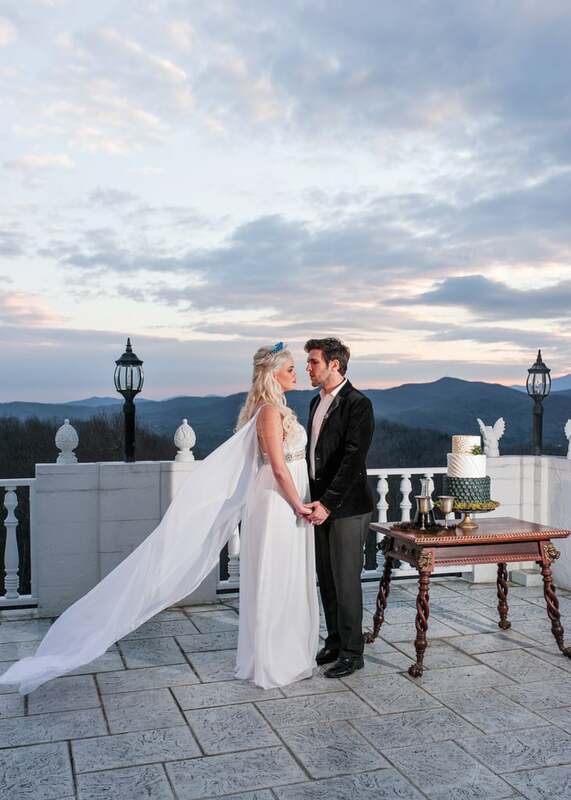 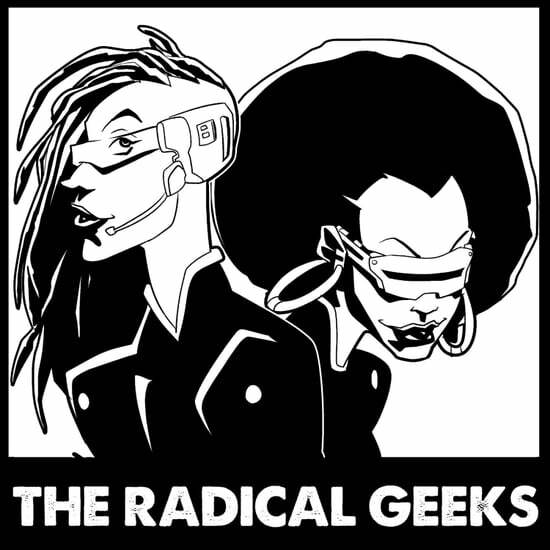 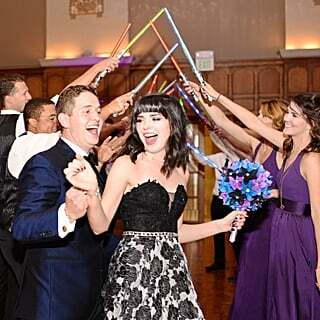 See their amazing photos and the video that shows the process from start to finish!